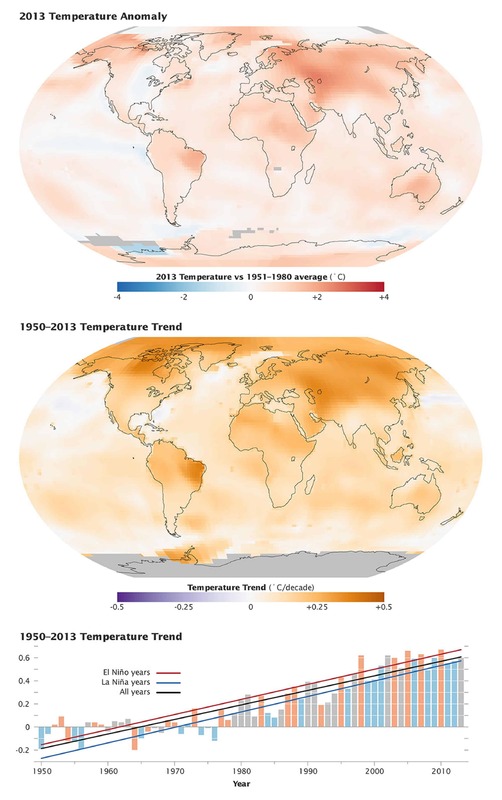 On Tuesday Jan 14, 2014 NASA's Goddard Institute for Space Studies released an updated report on temperatures around the globe that analyzes global surface temperatures. This report was generated off data gathered from more than 1,000 meteorological stations around the world. According to NASA's report, the average temperature in 2013 was 58.3 degrees Fahrenheit (14.6 Celsius), which is 1.1 F (0.6 C) warmer than the mid-20th century baseline. While some try to argue global warming, more and more irrefutable evidence is coming forward proving the effects of man made greenhouse gases on our environment. 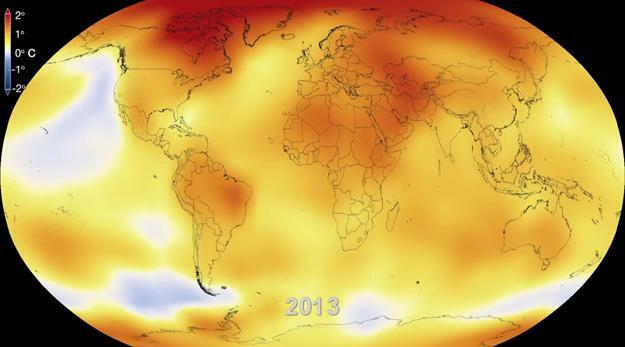 "NASA scientists say 2013 tied with 2009 and 2006 for the seventh warmest year since 1880, continuing a long-term trend of rising global temperatures. With the exception of 1998, the 10 warmest years in the 134-year record all have occurred since 2000, with 2010 and 2005 ranking as the warmest years on record."